Timesheet software screen, note timer for automatic time tracking. Create and delete projects and tasks here, time sheet information is booked against projects. 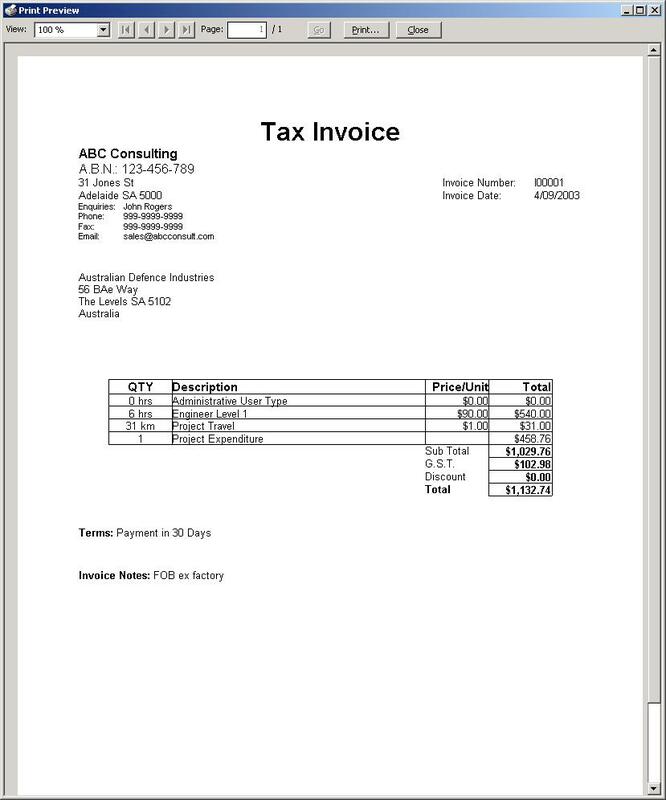 Raise and control invoices created from actual time sheet information. 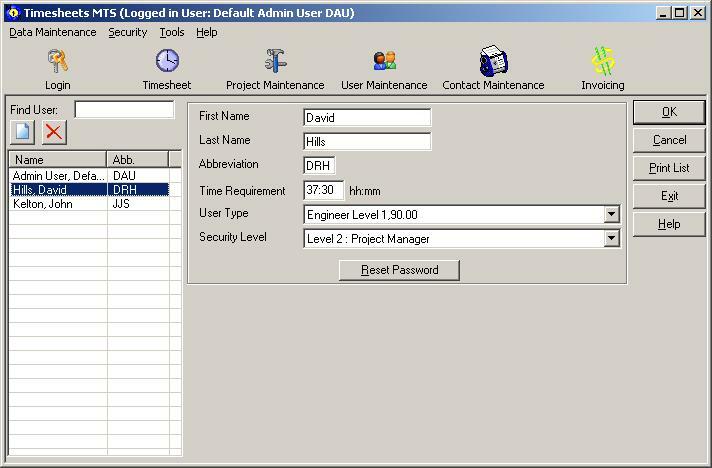 Create and delete users, users book time, expense, and travel information in the timesheet software. 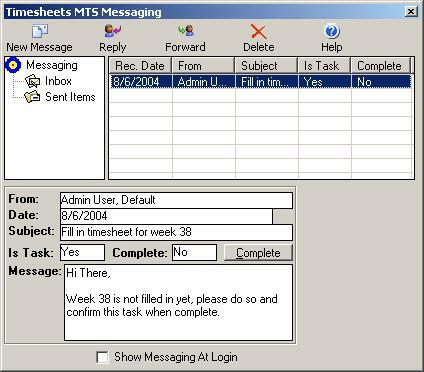 Activity reports take the time sheet software information and present it in an easy to read format. 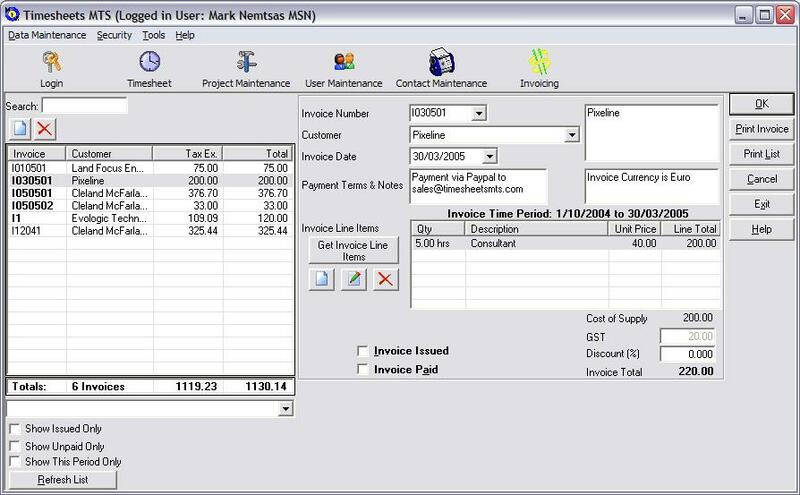 Track your debtors from within the timesheet software. 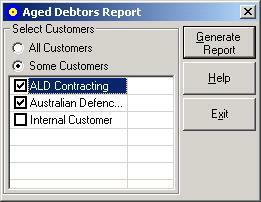 An example aged debtors report. Display time sheet information graphically for easy tracking of project activity. 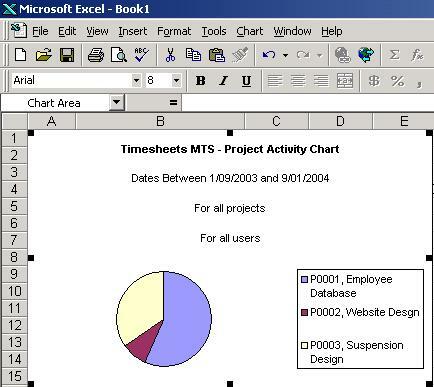 An example time tracking software chart. Use internal messaging for collaboration and accurate project time tracking. Track employee expenses and reimburse them as required.